The mark of the man, was that in 1995 at the RWC, he was ill with his kidney disease, (And for quite a few years after) never told anybody that he was sick. Even when people called him lazy, or not up to it etc. Imagine how good a player he would have been if he wasnt sick ? The 1999 RWC at Twickenham, New Zealand v England. I was in the Walkabout in Shepherds Bush thoroughly behind the Kiwis. 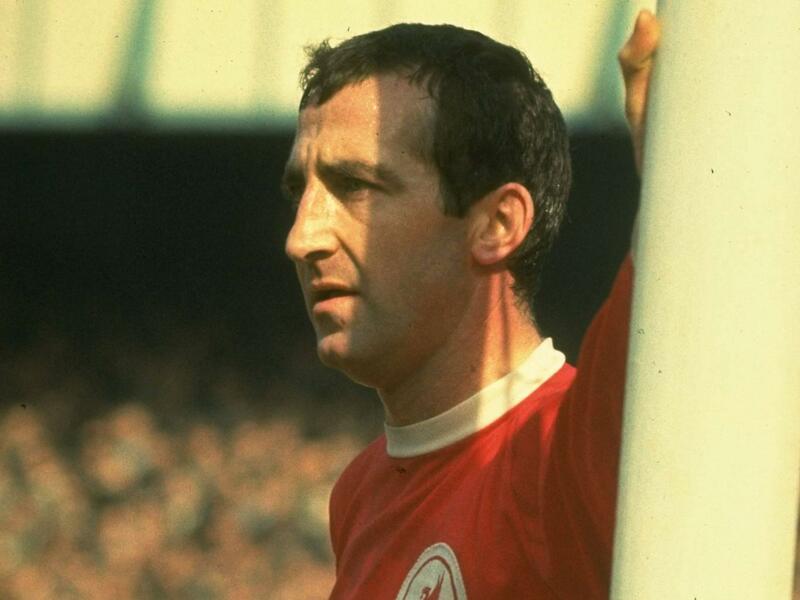 Former Liverpool and England defender Gerry Byrne has died at the age of 77, the club have confirmed. Liverpool-born Byrne had been suffering from Alzheimer’s disease, and the Premier League club released a statement on Saturday to announce his death. Byrne famously played through extra-time in Liverpool’s 1965 FA Cup final despite breaking his collarbone, with the Reds going on to lift the trophy. Byrne enjoyed success on Merseyside, winning to League Championships and a Second Division title as well as the FA Cup victory, and 40,000 fans turned out at Anfield to celebrate his testimonial match in April 1970. Byrne was also a member of England’s 1966 World Cup winning squad, although he missed out on selection for the team that won the final at Wembley. However, it’ll be Byrne’s FA Cup heroics that will be most fondly remembered, where he played on despite fracturing his collarbone in the seventh minute in a collision with Leeds midfielder Bobby Collins. Byrne pleaded with the team’s physio not to tell the manager, Bill Shankly, and he went on to play the full 90 minutes as well as extra-time, with Liverpool triumphing 2-1 at Wembley. Ian Callaghan, Liverpool’s record appearance holder, said that Byrne’s desire to remain on the pitch despite the obvious pain of his injury was nothing short of “incredible and unbelievable”. "What Gerry did in 1965 was incredible,” Callaghan told the Liverpool Echo. "He broke his collarbone early in the match and then played right through the game, through extra time and even crossed for Roger (Hunt) to score the first goal. Don Howe topped an eminent career as a West Bromwich Albion, Arsenal and England full-back by emerging as one of the most influential football coaches of his generation. The chief strategist behind Arsenal's unexpected League and FA Cup double in 1971 and Wimbledon's shock FA Cup triumph over Liverpool in 1988, he spent nearly four decades passing on his expertise to nine clubs, helped to mould the tactics of three England managers, and took charge of the Saudi Arabia national team. Though a defensive specialist who was responsible for some dour play in his time, the deep-thinking, passionately enthusiastic Howe appreciated keenly the beauty of attacking flair, and it was monstrously unfair to pigeonhole him as negative, though some critics did. In fact, he was anything but a stick in the mud, ever eager to embrace new ideas, though he was not cut out for high office. He never excelled as a manager, appearing out of place besuited in boardroom or press conference; he was a training-ground technician who was in his element working with players, glorying in minute detail, outwardly stern but essentially warm, a man utterly consumed by his craft. Howe's first professional club was West Bromwich Albion, for whom he signed at 17 in 1952, making his senior debut at right-back in the autumn of 1955. Soon the tall, blond Black Countryman claimed a regular place in Vic Buckingham's attractive side which finished in the top five of the First Division in three successive seasons at the end of the decade. He was a skilful, thoughtful operator who relied on clever positioning, assured ball control and intelligent distribution rather than the brute force favoured by many defenders of his era. So the award of his first England cap in 1957 was richly deserved, and he kept his place for 23 consecutive matches. He was unlucky to have been given his chance during an unsuccessful period which included tame elimination from the 1958 World Cup finals in Sweden. In 1960 he was replaced by Jimmy Armfield of Blackpool and never played for his country again, though his association with national coach Walter Winterbottom proved to be lastingly fruitful. The England manager had recognised in the studious Midlander the makings of an outstanding coach and urged him to gain qualifications, reasoning that in the short term it would make him a better player, and in the long term offer a rewarding career. Howe, who had previously spent his afternoons as a car salesman, became captivated by the work. Having risen to the captaincy of Albion, he became an effective spokesman for team-mates, and in 1963 he was a central figure when they rebelled against what they saw as tedious training methods and the authoritarian attitude of the new manager, Jimmy Hagan. Against that background of discord, it was not surprising when Howe was transferred to Arsenal in April 1964, Highbury manager Billy Wright paying £40,000 to make his former England colleague the domestic game's most expensive full-back. Some observers reckoned that the 28-year-old was past his peak, an opinion which gained currency when he was given a fearful chasing on debut by Liverpool's Peter Thompson in the first game ever televised by the BBC on Match Of The Day. However, he settled quickly, making up in craft for what he lacked in pace, only for hopes of an Indian summer to be thwarted by a broken leg suffered in a collision with the Blackpool goalkeeper Tony Waiters at Bloomfield Road in March 1966. When the bone mended, new manager Bertie Mee offered a vote of confidence by making him club captain, but Howe's mobility had declined and he never regained his place. Instead he began coaching the club's youngsters and made an immediate impact, progressing to succeed the departing Dave Sexton as chief coach in November 1967, then becoming assistant manager in 1969. He enjoyed an ideal relationship with the punctilious Mee, a gifted administrator who never claimed to be an expert on the game, being content to rely openly on the technical acumen of Howe, who reigned supreme on the training pitch and was close to the players. Gradually the pair inculcated improved habits and standards into a talented if hardly star-spangled team, captained by the inspirational Frank McLintock, and after harrowing League Cup final defeats by Leeds United and lowly Swindon Town in 1968 and 1969, the Gunners garnered their first major silverware for 17 years by winning the European Fairs Cup in 1970. The best was yet to come. Magnificently marshalled by Howe, though maligned for their functional approach, Arsenal lifted both the League title and the FA Cup in 1970-71, only the second time in the 20th century that the coveted double had been achieved. But now, with his stature in the game at a new high, Howe made what he acknowledged later to be the biggest blunder of his professional life when he accepted the management of his former club, West Bromwich Albion, though he maintained that he would have stayed at Highbury had he been promised a chance at the top job when the ageing Mee eventually retired. Expectations at the Hawthorns were massive but the illustrious old boy never met them and the Baggies were relegated from the top flight in 1973. Two seasons in the top half of the Second Division were not enough to prevent his dismissal in 1975, after which he worked for Galatasaray in Turkey for several months before becoming coach of Leeds United under Jimmy Armfield that October. The pair melded effectively, but in 1977 Howe could not resist a return to Highbury as No 2 to his former Gunners team-mate, Terry Neill. After the new coach had tightened training procedures and tweaked tactics, Arsenal entered on an entertaining period which featured the rise of gifted youngsters Liam Brady and David O'Leary, but the side never quite fulfilled its promise. The football was pleasing but there were too many near-misses, with defeats in the FA Cup finals of 1978 and 1980, a cruel European Cup-Winners' Cup final reverse by dint of penalty shoot-out in 1980 and a succession of top-six League finishes, always falling short of a genuine title challenge. Against that a solitary FA Cup triumph in 1979 was not enough to preserve Neill's job and in December 1983 Howe succeeded his friend as Arsenal manager, initially on a caretaker basis but confirmed as permanent in the spring. 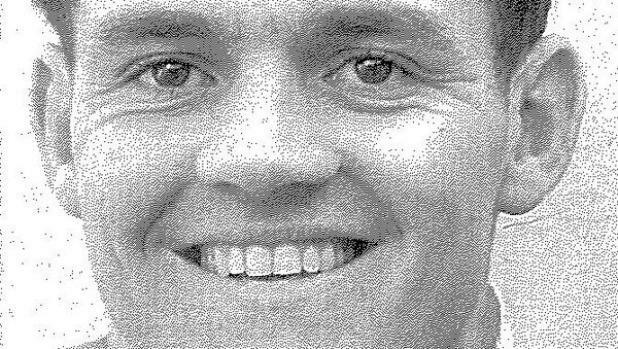 Adopting a lower public profile than his predecessor, he did not invest heavily in the transfer market, preferring to augment his squad by bringing through youngsters such as Tony Adams, David Rocastle and Niall Quinn, but he never attained the desired blend and in March 1986, after the club had been reported as attempting to line up Terry Venables as his replacement, Howe resigned. He was hardly a failure, as the Gunners had not finished lower than seventh in the First Division under his leadership, but in the absence of silverware his exit became inevitable. 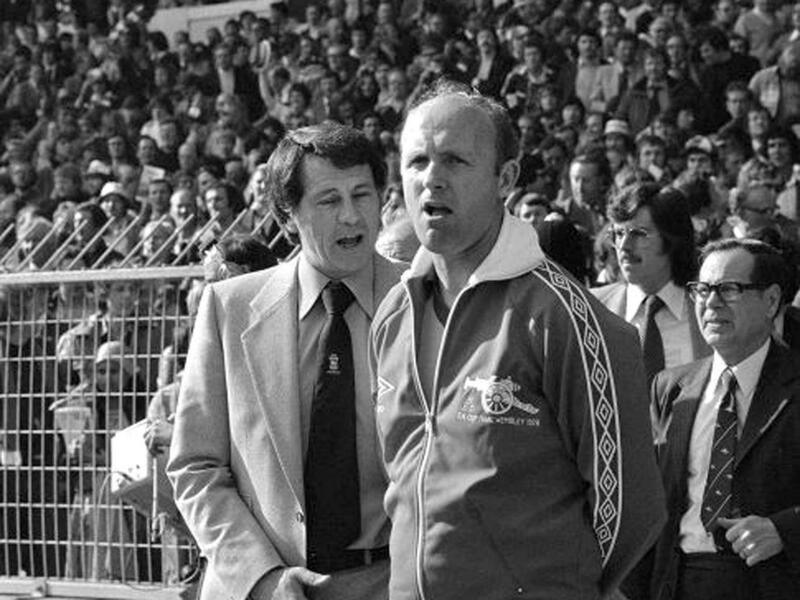 Having coached in the England set-up under Ron Greenwood between 1979 and 1982, and contributed in the '82 World Cup finals in Spain (with Greenwood) and the 1986 Mexico tournament (with Bobby Robson), Howe had established international credentials, too, which now earned him a year guiding the fortunes of Saudi Arabia. On returning from the Middle East in 1987, he spent a month with Third Division Bristol Rovers before stepping back up to the elite grade with feisty but unfashionable Wimbledon, whose delighted manager, Bobby Gould, described the recruitment of Howe as his assistant: "It was like realising Miss World was single and being the only one with the courage to ask her out." Howe was excited by the potential and the spirit of the Plough Lane squad and he made the most of it in his first campaign, plotting the Dons' path to seventh in the First Division and to a momentous FA Cup final victory over the hot favourites, Liverpool. His influence was vividly evident at Wembley, where he set the tenacious Dennis Wise to nullify danger-man John Barnes, and engineered the set-piece from which Lawrie Sanchez headed the game's only goal. In July 1989 Howe was appointed assistant manager of Queen's Park Rangers, becoming manager in midwinter and holding the side steady in mid-First Division, finding time to aid Bobby Robson in leading England to a 1990 World Cup semi-final in Italy, where they lost to West Germany on penalties. He returned to Wimbledon for another brief coaching spell in 1991, then led Coventry City as they escaped narrowly from relegation. By then Howe had been suffering heart problems and wanted work near his London base, so in July 1992 he became assistant manager of Chelsea, employment which ceased when manager Ian Porterfield was sacked in the following February. Though ready to retreat from management at that point, he could not resist Terry Venables' offer to become England's technical co-ordinator in 1995, providing the link between youth and senior sides and generally spreading his coaching gospel. In this capacity Howe was an integral part of Venables' backroom team as England reached the semi-finals of the 1996 European Championships, once again bowing out to the Germans on penalties. The following year he began his third and final stint with Arsenal, joining the club's youth academy, where he dispensed his wisdom to a new generation of Gunners until his semi-retirement in 2003, at the age of 67, to become a coaching consultant. Don Howe gave his life to football, and few men have served the game with more keenness and care. Donald Howe, footballer and manager: born Wolverhampton 12 October 1935; played for West Bromwich Albion 1950-64, Arsenal 1964-1966; capped 23 times by England 1957-59; managed West Bromwich Albion 1971-75, Arsenal 1983-86, Queen's Park Rangers 1989-91, Coventry City 1992; died 23 December 2015. Better post this, a reminder of the glory days, black and white TV, JFK was still alive, etc. Peter Baker, a member of Tottenham's 1961 double-winning side, has died at the age of 84 following illness, the Barclays Premier League club announced on Wednesday. Right-back Baker was born in Hampstead, north London and joined Spurs in June 1949 and went on to make 342 appearances. Baker was an integral part of Bill Nicholson's 1961 squad, which became the first team since Aston Villa in 1896-97 to win both the league title and FA Cup in the same season. After helping Spurs retain the FA Cup the following season and then win the 1963 European Cup Winners' Cup, Baker left White Hart Lane in the summer of 1965 when he emigrated to Durban in South Africa. Walter McGowan, the former flyweight world-boxing champion and the first Scottish world-boxing champion in the Queen’s Birthday list, has died aged 73. Known for his excellent footwork, the Hamilton fighter suffered only two defeats in 124 amateur bouts before turning professional in 1961 after winning the British Amateur Boxing Association’s flyweight title. 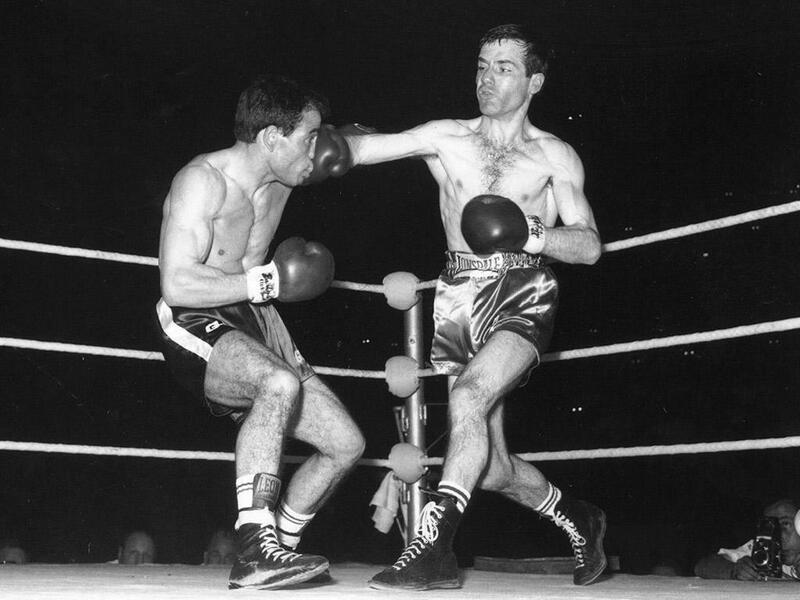 He would go on to win 32 of his 40 professional fights, claiming the Scottish, British, European and Empire titles before defeating Italy's Salvatore Burruni at Wembley over 15 rounds to land the world flyweight title in 1966. Moving up to bantamweight, later that year he would go on to take the British and Empire title in his next fight, defeating Alan Rudkin, again at Wembley. Although he suffered a cut to his eye in the tenth round, he scored a 15 round points win. That year he also became the first Scottish world-boxing champion to be honoured in the Queen's Birthday honours list in 1966 with an MBE. He was later inducted into the Scottish Sports Hall of Fame in 2002, alongside the likes of Scottish boxing great Ken Buchanan. An elder sister told BBC Scotland that he would be greatly missed by his family who were immensely proud of his boxing achievements. She added: “He said, 'What do you mean 'if'?' He was so confident he would win. Well, of course he won, and my daughter was born the following week." McGowan had been in poor health in recent years and was living in a nursing home in Bellshill. He died peacefully at Monklands Hospital on Monday night. I met Walter around 1980, he ran a pub in Lanarkshire he was a great guy - real dry sense of humour. He signed an invoice I delivered "9-10 out"
He fell on hard times in later life and lost it towards the end. usually a good mans downfall. Now there's a trivia question I would have got wrong. Andy Ganteaume, the man with the highest batting average in Test history, has died aged 95. 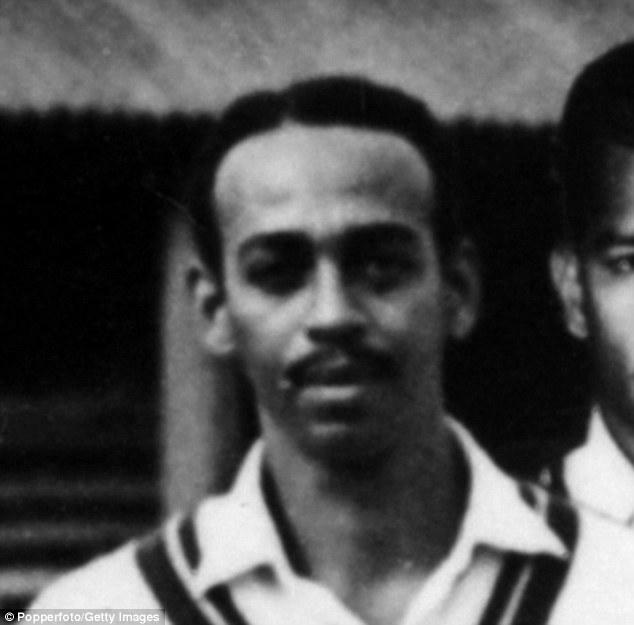 The opening batsman played just one Test for the West Indies, against England in 1948, and made 112 in his only innings - thus surpassing Australia great Donald Bradman's famous average of 99.94. He died peacefully at his home in Santa Margarita, Trinidad and Tobago, on Wednesday. On Ganteaume's 95 birthday last month, West Indies Cricket Board president Dave Cameron paid an affectionate tribute. 'He is one of the stalwarts in Trinidad and Tobago and West Indies cricket. We must always remember the contribution of the pioneers and forefathers of our game,' Cameron said at the time. 'We salute Andy Ganteaume, one of the patriots of our great game. His most memorable performance on the field is his 112, and that will forever be a famous performance in our history. Ganteaume averaged 34.81 throughout a first-class career lasting 50 matches with Trinidad and the Windies. He also represented Trinidad at football. He had been the second-oldest living Test cricketer in the world. South Africa's Lindsay Tuckett turned 97 earlier this month. New Zealand's greatest test batsman has died. Martin Crowe passed away after a prolonged battle with cancer that eventually proved one attack the gifted cricketer couldn't see off. Crowe is survived by wife Lorraine Downes, daughter Emma and step-children Hilton and Jasmine. He was 53. A statement released by his family, and headed "God Speed, Rest in Peace", said: "It is with heavy hearts that the family of Martin Crowe, MBE advise his death." "Diagnosed in September 2014 with terminal double hit lymphoma he passed away peacefully today, Thursday 3rd March in Auckland surrounded by family. The family request privacy at this time." A funeral service will be held for Martin Crowe at Auckland's Holy Trinity Cathedral next Friday. The service will begin at 1pm. Dean of the Cathedral, the Very Reverend Jo Kelly-Moore said it would be a time to give thanks for Martin's life. "The funeral is a time for those who loved Martin and those he loved, as well as for friends, and for the sports community," he said. "Martin's life is being remembered today across the nation and the world as a husband, father, brother and cousin, batsman, hero, friend and sporting champion. The funeral will be a time for those private and public memories to join together," says Dean Jo Kelly-Moore. One of the finest athletes this country has ever produced, Crowe made a considerable mark both on and off the pitch during a life spent in sport. Crowe's 14 years spent wearing the silver fern saw the world's best bowling attacks dispatched to all-corners by a batsman blessed with a wide array of strokes. Crowe captained his country from 1990-1993, mixing his prodigious style at the crease with a number of innovations, including opening the bowling with spinners, implementing unexpected field placements and utilising pinch-hitting batsmen. Born on September 22, 1962, in Henderson, Auckland, Crowe's father was former domestic cricketer Dave, while brother Jeff also went on to captain the New Zealand cricket side. The siblings were cousins of Hollywood actor Russell. A stylish batsman, Crowe made his test debut in 1982 at the tender age of 19, batting at No 6 against Australia and experiencing the rare distinction of being run out in his maiden innings. He struggled early in his career - later saying his international call-up came "way too soon" - and he failed to reach double figures in his first six innings. But his immense talent soon became clear, scoring the first of his 17 test centuries in his eighth test against England. Crowe's career highlight with the bat will, unfortunately, forever be married to his most regrettable playing stroke, edging behind off Arjuna Ranatunga to be dismissed for 299 at the Basin Reserve. At the time, in 1991, no New Zealand batsman had reached a triple 100, a drought that extended until Brendon McCullum's innings of 302 came 23 years after Crowe's effort and, fittingly, at the same venue. A year later, Crowe came within one match of captaining New Zealand to their first Cricket World Cup final, thrilling home fans at an event held on both sides of the Tasman. Crowe was the standout performer at cricket's premier tournament, being named the best player after scoring one century and four fifties to lead his nation to the semifinals. Crowe played his 77th and final test in 1995, falling for 15 in the first innings of a draw against India, and, a fortnight later, in his last one-day international, he scored 63 to help his side beat the same opposition. His career was curtailed only by a chronic knee injury and, just 33 at the time, his influence at the crease could have continued for a number of years were it not for his body. As it was, Crowe finished his test career with 5444 runs - at the time a New Zealand record - and an average of 45.36, bettered only by Kane Williamson (currently 49.23), John Reid (46.28) and protege Ross Taylor (currently 45.49). Crowe's 17 centuries remain the most by a New Zealander, four more than Williamson and Taylor. After such a distinguished playing career, Crowe continued to have a role in cricket, either behind the microphone in the commentary box, as a mentor and batting coach to contemporary Black Caps, or continuing an innovative streak by creating the Cricket Max format, a precursor to Twenty20. Crowe married Downes, a former Miss Universe, in 2009 following a 25-year friendship. He had previously been married to interior designer Simone Curtice, from whom he separated in 1996, while he also had a daughter with Suzanne Taylor. But Crowe's relationship with the game he loved was a constant and, in 2011, at the age of 49, he shocked the cricket community by declaring his intention to return to the first class scene, 16 years after retiring. Crowe turned out for former club Cornwall and aimed to once again play for Auckland but, after sustaining four muscle injuries in as many months, he admitted his body was unable to withstand the rigours of the sport. The mere fact Crowe seriously contemplated a return to the middle was a measure of the man's talent, with his hand-eye coordination and shot-making ability belied only by an ailing body. Sadly for Crowe, those health issues soon extended outside of the lines, announcing in 2012 he had been diagnosed with lymphoma, blaming the illness on an immune system ravaged by the various maladies he endured while touring the world during his cricket career. A year later Crowe confirmed he was clear of cancer's grip but in September 2014 said on Twitter he had suffered a lymphoma relapse, with his condition seriously worsening in the last few months. "When he had completed chemotherapy he looked a shadow of the young man I once knew," said Sir John Graham, Crowe's headmaster at Auckland Grammar and a former All Black captain. "Yet he spoke with a growing and renewed confidence of his desire to help others. He spoke of the importance, particularly to young New Zealanders, of following one's dreams, of facing challenges, of aiming high." In February last year, Crowe was inducted into the ICC Hall of Fame, receiving the honour at the Cricket World Cup pool match between the Black Caps and Australia. He received a standing ovation in front of a full house at Eden Park, a ground he made his own during the Cricket World Cup of 1992. Crowe became the third New Zealander to gain a place in the Hall, alongside Sir Richard Hadlee and Debbie Hockley. One of his last public appearances was at the New Zealand Cricket awards last April when he gave a heartfelt speech congratulating the retiring Daniel Vettori on his career. Before the Cricket World Cup final Crowe penned an emotional column for espncricinfo.com, writing: "My precarious life ahead may not afford me the luxury of many more games to watch. So this is likely to be it. I can happily live with that." September 22, 1962 - born in Henderson, Auckland to parents Audrey and Dave Crowe of Titirangi. 1968 - joined Cornwall Cricket Club, establishing a lifelong link. 1976-1980 - attended Auckland Grammar, becoming deputy head boy in his final year and, in addition to cricket commitments, a wing in the first XV. January 19, 1980 - made his first-class debut for Auckland v Canterbury at Eden Park, aged 17 years and 119 days, scored 51 in maiden innings. June 12, 1981 - first appears in the New Zealand Herald, relating to his century for the MCC Young Cricketers in a one-day match against an MCC XI which included former England captain Colin Cowdrey. Crowe was on a six-month scholarship with the Lord's ground staff. 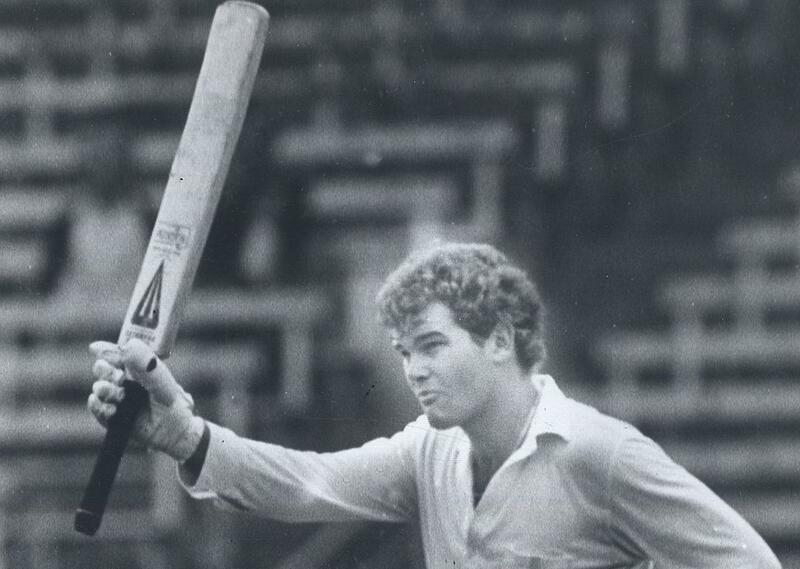 February 13, 1982 - made one-day international debut v Australia at Auckland, did not bat. February 26, 1982 - made test debut v Australia at Wellington, run out for nine. January 23, 1984 - made his maiden test century at the Basin Reserve to save the match against England. 1984-1988 - played for English county Somerset. 1985 - named one of the five annual Wisden cricketers of the year. 1986-87 - scored the most runs in a domestic summer (1676 at 93.11, including eight centuries). October 10, 1990 - became New Zealand's 20th test captain, against Pakistan in Karachi. 1991 - married Simone Curtice. February 4, 1991 - completed New Zealand's highest test score of 299, a feat that lasted 23 years. In doing so, participated in a world record partnership of 467 with Andrew Jones for the third wicket. Named sportsman of the year in relation to the feat. February-March 1992 - captained New Zealand to the semi-finals of the 1992 World Cup at home, wins player of the tournament for his inspirational batting and innovative captaincy. June 16, 1994 - made his second test century at Lord's; remains the only New Zealander to score more than one in 84 years and 17 visits. July 5, 1994 - made his 17th and final test century v England at Manchester, still a national record. July 1995 - published first autobiography Out On A Limb. November 12, 1995 - completed his 77th and final test v India at Cuttack, caught for 15. November 26, 1995 - completed his 143rd and final ODI v India at Nagpur, stumped for 63. 1995-2002 - invented, developed, marketed and broadcast Cricket Max, the pre-cursor to Twenty20. 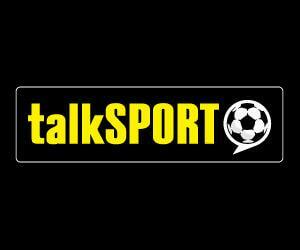 1997 - joined Sky Television and worked as a cricket commentator, eventually rising to executive producer by his 2012 exit. Brought regular weekly broadcasts of First XV rugby to screens for the first time, along with other notable documentary series such as The Chosen Ones and The Mantis And The Cricket. 2001 - inducted into the New Zealand sports hall of fame and awarded an MBE for services to cricket. April, 2003 - daughter Emma is born. 2006 - became the first New Zealander invited to deliver the annual 'Cowdrey Lecture' at Lords, on 'the spirit of cricket'. 2009 - married Lorraine Downes. November 5, 2011 - returned to club cricket for Cornwall reserves with the aim of being selected for Auckland and hauling in the 392 runs required to take him to 20,000 at first-class level. Fifteen days later the bid was over as he iced a left thigh muscle at 4am on the Sunday morning. October 2012 - diagnosed with follicular lymphoma. December 7, 2012 - tweeted he had burnt his New Zealand blazer after the treatment of Ross Taylor after his demotion as national captain, an action he later said was metaphorical. June 2013 - announced chemotherapy treatment had restored him to normal health. June 2013 - published second autobiography Raw. September 16, 2014 - tweeted his cancer had returned. February 28, 2015 - inducted into the International Cricket Council Hall of Fame. Mark Nicholas on Marty Crowe. I played both rugby and cricket against him at school. He was a good rugby player, but made us look like 2 year olds at cricket. Good bloke too. Very sad. Seru Rabeni - Fijian International and Sevens International has died at the age of 37. Also played Super Rugby and English Premiership rugby and last I heard was coaching Discovery Bay in Hong Kong. Sad, still a young man. 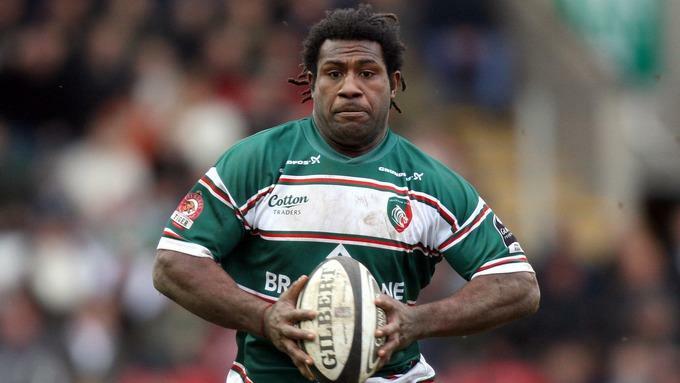 Former Leicester and Fiji centre Seru Rabeni has died at the age of 37, the Aviva Premiership club have announced. The Bua-born backline powerhouse represented Fiji in the 2002 Commonwealth Games' Rugby Sevens in Manchester and joined Leicester from New Zealand outfit Highlanders two years later. Rabeni's career at Welford Road was plagued by injuries and, after a move to Gloucester collapsed, he signed for Leeds Carnegie in 2009. Leicester will hold a minute's applause in Sunday's Aviva Premiership match against Saracens at Welford Road for their two-time league winner, who scored 18 tries in 63 club appearances. "Seru was a lovely, lovely man, he was extremely friendly, very popular among all the players and the staff," said Leicester Tigers chief executive Simon Cohen. "He always had a smile on his face. He always made light of even difficult situations. He generally brought warmth to the training ground and the whole of Welford Road." Reports from Fiji say Rabeni passed away at his Nausori home while having breakfast. He had recently recovered from illness, according to fijivillage.com. Super Rugby club Highlanders tweeted: "Saddened to hear of the passing of Seru Rabeni today, our thoughts are with your family. #Highlander92"
He earned 30 caps for Fiji, scoring 10 points, and also represented the Pacific Islanders combined international team that played from 2004 to 2008. Leicester CEO Cohen hailed Rabeni's devastating mix of power and pace that proved integral to the Tigers' 2007 and 2009 Premiership title triumphs. "He was a fantastic player, he had the amazing combination of guile, a quick step and huge physicality," said Cohen. NZRL Legend of League, and former NZ Kiwis captain and coach, George Menzies has passed away in Greymouth, aged 85. Menzies (Kiwi No 326) was a deceptive five-eighth, who played 69 games for New Zealand, and scored four tries in 29 tests from 1951-61. He spent his entire career on the West Coast, hailing from Runanga, and was an New Zealand Schoolboys representative in 1946. Menzies played for the South Island side as a teenager and made his international debut in the notorious 1951 outing against France at Carlaw Park, where he scored a try, but was stretchered off with concussion and a broken cheek bone in a 16-15 victory. "It was the dirtiest game I played in," he recalled years later the NZRL website. "I think it was just the excitable way the Frenchmen were. They had beaten Australia in the test series over there and it meant so much for them to go home with another victory." Sadly, Menzies is the third Kiwis player from that game to die in quick succession – wing Jack Forrest and prop Ken English passed away within days of each other late last month. He went on to tour Great Britain and France twice over the next decade and attended three World Cup tournaments during an era that is still regarded as one of the most successful in Kiwis history. Menzies played the first two tests and missed the others through injury, as the national side inflicted four consecutive losses on Australia over 1952/53, still the only time this has been achieved. He captained the Kiwis in a test during the 1956 tour to Australia and retired from international football, after withdrawing from the 1961 northern hemisphere tour and turned to coaching. Menzies guided West Coast, before becoming a national selector in 1973 and national coach 1974/75. During that period, he also survived being buried under a coal slip, while working as a miner. His son Chris also represented West Coast and played for the Junior Kiwis. Inducted as a Legend of League in 1995, Menzies was also named to the NZRL Team of the Century in 2007, as part of the game's centenary celebrations in New Zealand. He was hospitalised with a suspected broken leg late last year and emerged from Christchurch Hospital with a replacement hip. “On March 24 2016 Johan Cruyff (68) died peacefully in Barcelona, surrounded by his family after a hard fought battle with cancer. It’s with great sadness that we ask you to respect the family’s privacy during their time of grief,” read a statement on the World of Johan Cruyff website. Just last month the former Ajax, Barcelona and Holland star, one of the main exponents of the world famous Total Football – the Dutch style of play popularised in the 1970s, said he was ‘2-0 up’ in his match with lung cancer. Cruyff, who was a heavy smoker until undergoing heart surgery in 1991, made his illness public in October last year. He was regarded as one of the game’s greatest players. He led Ajax to three consecutive European Cups from 1971 to 1973 and was the linchpin for Holland as they were beaten in the final of the 1974 World Cup by West Germany. During the tournament his eponymous turn was first seen against Sweden and soon copied the world over. By then he had joined Barcelona for a world record fee. He went on to become a huge favourite at the Camp Nou, eventually coaching the Catalan club to a first European Cup triumph in 1992 as well as winning four successive La Liga titles between 1991 and 1994. ^Wow. Legend that had a huge impact on the game. RIP. Yip Dutch Master. jees only 68. shocked me innit. goddam fags.